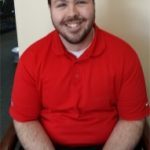 Brandon Jackson joined the region staff in January of 2015 as the Assistant for Mission and Finance, and it is our privilege to introduce him to you. Brandon is an Indiana native, and grew up in Greenwood and Terre Haute. He has a B.A. degree from Franklin College, with a major in Accounting and a minor in Computer Information Systems. Prior to IN/KY, he served with Menard’s, Inc., most recently in Mankato, Minnesota, where he managed several departments, including the largest plumbing department in the company’s portfolio. Jackson is well acquainted with American Baptist life in Indiana, coming from a family with deep generational roots in this region. In addition to local church involvement, he has previously served as a peer leader at national ABC youth events as well as on the Technology Team in the former youth cabinet structure. 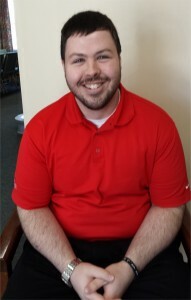 In his spare time, Jackson enjoys playing video games, attending sporting events and spending time with friends and family. Among other duties, Jackson receives church and individual gifts for mission and processes them as directed by the donors. He will gladly respond to questions that may arise about your church’s mission gifts.